The name of the club shall be the TRACY VILLAGE CRICKET CLUB INCORPORATED. The words “the Club” wherever occurring without qualification, shall mean the TRACY VILLAGE CRICKET CLUB INCORPORATED. The word “annual” or “annually” wherever occurring shall be construed to mean the periods between Annual General Meetings. (d) by such other activities as may be conducive to the attainment of the objects. This Constitution binds every member and the club to the same extent as if every member and the club had signed and sealed this Constitution and agreed to be bound by it. If there is any inconsistency between this Constitution and the Act, the Act prevails. Any part or all of this constitution may be amended upon a motion carried by two-thirds majority of financial members present at an Annual General Meeting or a Special General Meeting of the Club and notice of such amendment shall be lodged with the Registrar of Companies for Approval. The public officer must ensure compliance with section 23 of the Act. (2) Membership to the club shall be from 1st April to 31st March. (3) Membership shall be subject to the person having paid fees in full, being an amount decided from time to time by the committee of the club for the level of membership required, and such amount appears in the clubs’ minutes. (4) All membership applications are subject to the approval of the current committee. 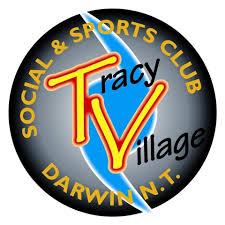 (5) All members of the club aged 18 or over must maintain a current membership to the Tracy Village Social & Sports Club. (1) Senior Members shall be any players or intending players who are no longer eligible by way of their age to play in the junior competition. (2) Membership shall be subject to the person having paid an amount referred to in section 7(3), to be deemed a senior member of the club. (3) The committee may at its discretion deem a senior member of the club to not be liable for the payment of subscriptions but shall be otherwise deemed to be a financial member of the Club and entitled to all the privileges of membership. 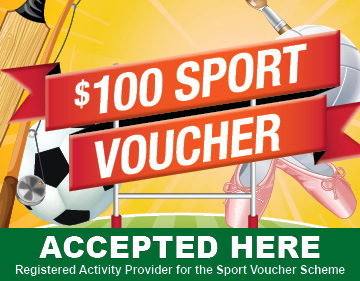 (2) Membership shall be subject to the person having paid a fee, the amount of which is referred to in section 7(3). (1) Any person who has rendered or is rendering distinguished service to the club or to the promotion of cricket in general may be appointed a Life Member of the club, providing they have attained at least ten years work in a voluntary capacity for the club. The ten years of service do not have to be consecutive, and playing in a team does not count towards this time. The role of a potential Life Member should also be significant to the ongoing well-being of the club. (2) Nominations for Life Membership must be received in writing, signed by no less than two financial members of the club. The nomination is to include the reason/s that the nominee should be considered for Life Membership of the club. This nomination must be received by any member of the executive committee no later than the 31st August of any given year. (3) Upon the club receiving any nomination for Life Membership, the member of the executive committee receiving the nomination shall notify the other members of the executive committee of the nomination. The committee will then ensure that all existing Life Members of the club are notified of such nomination. All existing life members and the current executive committee will then be eligible to cast a vote as to whether to accept this nomination for Life Membership to the club. This vote will be decided on a three quarter majority. (4) Should a current member of the executive committee be nominated for Life Membership, that person shall not take any part in the voting process, and the position that person holds on the committee shall not form any part of the voting process for the purposes of such vote. (5) Persons eligible to vote on life membership will have 14 days from the date that they were deemed to have been notified to cast their vote in a manner decided by the executive committee. (6) Any member eligible to vote under this section may cast only one (1) vote, not withstanding that they may be a Life Member and hold a position on the executive committee. (7) Any person, who is nominated for Life Membership of the club and such nomination receives a three quarter majority of eligible votes, will then be eligible for appointment as a Life Member of the Club. (8) The time of appointment to Life Membership will be from the date of the next end of season club presentation function to be held from the time of the vote, or at any other time the executive committee deems appropriate. (9) A Life Member shall not be liable for the payment of subscriptions but shall be otherwise deemed to be a financial member of the Club and entitled to all the privileges of membership. (1) Junior Members shall be players or intending players eligible to play in under age teams of the Club during the current year. (2) Membership shall be subject to the person having paid an amount referred to in section 7(3), to be deemed a junior member of the club. (3) Application for membership shall be made every year in writing. Any member desirous of resigning from the Club must apply in writing to the Honorary Secretary. Upon payment of all fees owing to the Club and the return of all Club equipment, he shall be granted a clearance by the Club if he desires one. (1) In all cases of misconduct by individual Members, Office Bearers or teams, the Committee shall hold an inquiry and take such action as they deem necessary in the interests of the Club. (2) If such action as mentioned in Clause 13(1) involves the removal of an Office Bearer from his office, that Office Bearer so removed may, by notice in writing to the Honorable Secretary or a member of the Executive within seven (7) days of the Office Bearer being notified of his removal, require the Committee to convene a Special General Meeting for the purpose of considering whether the Committee had just grounds for removal. If such Special General Meeting resolves that no just grounds exist, then the Office Bearer in question shall be reinstated to his position of Office Bearer. (1) The business of the club must be managed by or under the direction of a Committee. (2) The Committee may exercise all the powers of the club except those matters that the Act or this Constitution requires the club to determine through a general meeting of members. (3) The Committee may appoint and remove staff. (4) The Committee may establish one or more subcommittees consisting of the members of the club the Committee considers appropriate. (2) Unless elected directly as a separate office holder, the Committee must appoint one committee member to be the club’s public officer. (3) The Committee may, in writing, revoke wholly or in part the delegation. (1) A committee member must be a member who is 18 years or over. (2) Committee members must be elected to the Committee at an annual general meeting or appointed under clause 20(5) for Executive members or clause 29 for general committee members. The Office Bearers of the Club shall be the President, Vice President, Honorary Secretary and Honorary Treasurer. (1) All Office Bearers shall be elected at the Annual General Meeting of the Club and shall hold office for an annual term. They shall be eligible for re-election for more than one term. (2) Nominations for committee member positions can be made verbally or in writing and accepted by any committee member prior to or at the Annual General Meeting. (3) Only financial members of the Club aged 18 years or over shall be eligible for election. (1) The Executive of the Club shall consist of the Office Bearers. (2) The Executive shall be responsible for the day to day administration and management of the Clubs affairs and shall have authority to decide whether matters arising for decision can be dealt with by correspondence or should be deferred until the next meeting of the Committee. (3) The Executive may make, alter or revoke By-laws not inconsistent with this Constitution for the internal management of the Club. By-laws made, altered or revoked by the Executive shall be submitted to the next meeting of the Committee for consideration and shall be subject to ratification, alteration or disallow as the Committee sees fit. Any member can propose a bylaw, to be approved by the Executive and then committee. All by-laws are recorded and held by the Secretary. (4) The Executive shall meet not less than once per month throughout the year. Quorum for an Executive meeting shall be two (2) of its members. (5) Any vacancy that may occur in the Executive through death, retirement, removal or resignation during an annual term of office shall be filled through the normal process of nomination and election at a Special General Meeting of the Club called for the specific purpose or filling such vacancy. (1) Subject to sub-clauses (2) and (3), the President must preside at all general meetings and committee meetings. (2) If the President is absent from a meeting, the Vice-President must preside at the meeting. (b) a committee member elected by the other committee members present if it is a committee meeting. (e) perform any other duties imposed by this Constitution on the Secretary. (2) The Treasurer must ensure the accounting records of the club are kept in accordance with section 41 of the Act. (3) The Treasurer must coordinate the preparation of the club’s annual statement of accounts. (4) The Treasurer has custody of all securities, books and documents of a financial nature and accounting records of the club unless the members resolve otherwise at a general meeting. (5) The Treasurer must perform any other duties imposed by this Constitution on the Treasurer. (1) The public officer must ensure that documents are filed with the Commissioner of Consumer Affairs in accordance with sections 23, 28 and 45 of the Act. (2) The public officer must keep a current copy of the Constitution of the club. (1) As soon as practicable after being elected to the Committee, each committee member must become familiar with the Act and regulations made under the Act. (2) The Committee is collectively responsible for ensuring the club complies with the Act and regulations made under the Act. The Committee of the Club shall consist of all the Office Bearers of the Club, plus a minimum of five (5) other financial members of the Club. (c) to make decisions on all matters of policy affecting the Club. (1) The Committee may meet as often as may be practicable and desirable providing that they meet once per month during the playing season. (2) Quorum for the Committee meeting shall be six (6) of its members. Any vacancy that occurs in the Committee (other than Executive members) through death, retirement, removal or resignation during an annual term of office, may be filled by the normal process of nomination and election at a General Meeting of the Club, not necessarily called for the specific purpose of filling such vacancy. (1) The Committee shall have the power to appoint such Sub-committees and for such purposes as it deems desirable for the attainment of any or all of the Objects of the Club. Such Sub-committees shall be directly responsible to the Committee and shall furnish the Committee with such reports as it requires. Such Sub-committees shall elect their own Chairman from within their members. (2) Any member of the Executive shall be ex-officio members of any such Sub-committee. (a) Except as otherwise provided in this Constitution, a motion shall be deemed passed if it receives the affirmative vote of a simple majority of the members voting at the meeting. (b) The Chairman of any meeting shall exercise a casting vote in the case of any equality of voting. (3) Only elected members of the executive and the committee shall have voting rights at any scheduled committee meeting held by the club. (4) A person deemed to be a life member at the time of any vote, may appoint a proxy member to vote on behalf of the life member at such vote, provided the life member is entitled by way of this constitution to cast a vote. (a) A member can only act as a proxy if permission is granted in writing and the document is signed by the eligible life member. (b) Any one member can only act as a proxy for one eligible life member for any one particular vote. (b) the particulars of and the order in which business is to be transacted. (c) third – any other business requiring consideration by the club at the meeting. (4) The Annual General Meeting of the club shall be held during the month of September each year. (5) At the Annual General Meeting, the Honorary Secretary shall present a report of the Club’s activities for the period since the last Annual General Meeting. (6) At the Annual General Meeting, the Honorary Treasurer shall present a duly audited statement of income and expenditure of the Club for the period since the last Annual General Meeting and an audited balance sheet for the same period containing a statement of Assets and Liabilities of the Club. A Special General Meeting shall be called by the Secretary when so directed by the Executive or upon receipt of a Notice signed by not fewer than fifteen (15) financial members specifying the matters which they require to be discussed. The Secretary shall call all General Meetings by advertising twenty-one (21) days before the date of such meeting. Quorum for General Meetings of the Club shall be fifteen (15) financial members of the Club, excluding Junior Members. The financial year of the Club is the period of 12 months ending on 30 June. (1) All monies received shall forthwith be paid into a banking account in the name of the Club, with a Bank to be appointed, after being entered in the books as having been received. Such account shall be operated upon by any two of the President, Vice-President, Honorary Secretary or Honorary Treasurer. (2) Records shall be kept by the Honorary Treasurer, of all monies received and expended by the club. The Honorary Treasurer shall submit a statement of income and expenditure to the Executive at such times as directed by the Executive provided that this shall be a least once a month during the playing season. (3) All expenditure shall be passed by the Executive before payment, and all payments shall be made by cheque, with the exception of selected purchases as approved by the Executive, under the value of $200 which may be made with cash. (4) The books of accounts shall be open to the inspection of members at any time convenient to the Honorary Treasurer or at such places and on such days and between such hours as the Club shall determine. The Executive shall at least once in each year cause the financial affairs of the Club to be audited by a person who shall not be a member of the Club and shall prepare or cause to be prepared a statement of income and expenditure and a balance sheet setting out the financial position of the Club. (b) a member and the Committee. (2) Within 14 days after the dispute comes to the attention of the parties to the dispute, they must meet and discuss the matter in dispute, and, if possible, resolve the dispute. (3) If the parties are unable to resolve the dispute at the meeting, or if a party fails to attend that meeting, then the parties must, within 10 days after the meeting, hold another meeting in the presence of a mediator. (ii) for a dispute between a member and the Committee – a person who is a mediator appointed or employed by the department administering the Act. (5) A member of the club can be a mediator. (6) The mediator cannot be a party to the dispute. (c) ensure natural justice is accorded to the parties to the dispute throughout the mediation process. 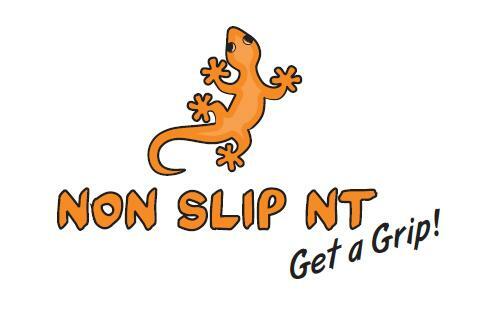 (2) If upon a winding up of the Club there remain any assets after the satisfaction of its debts the assets shall be donated to such other sporting or non-profit organisation or organisations as a General Meeting may consider appropriate.